Don't miss the opportunity to go Island hopping whilst you are here. 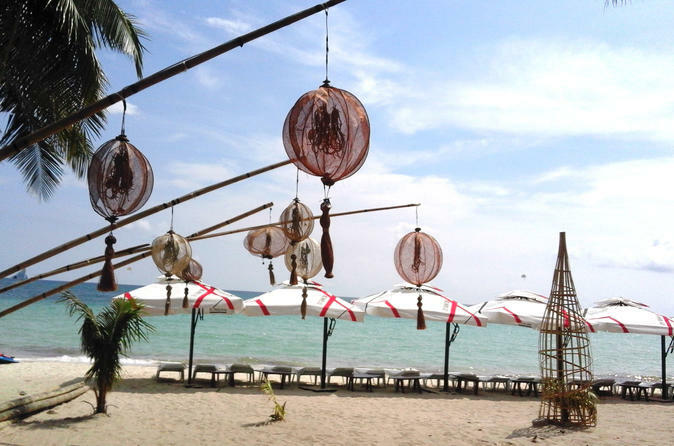 Boracay and the surrounding Islands all have a lot to offer with some amazing beaches and snorkeling to be done. 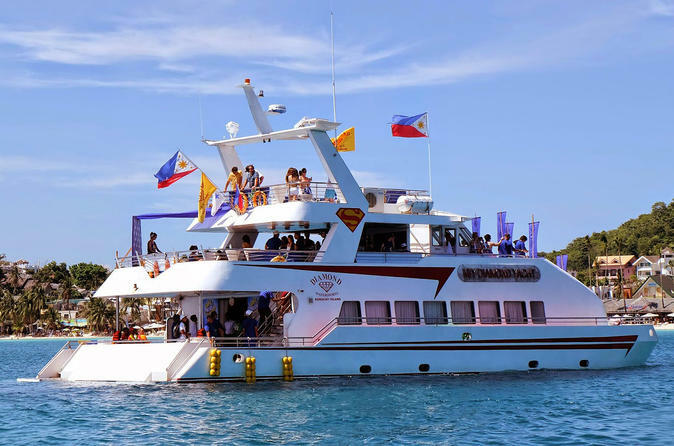 This 6 hour trip Island hopping trip is the perfect way to see it all. This is a 1.5-hour compilation of aroma therapeutic massage, Swedish massage, lymphatic drainage and foot reflexology. It’s a highly therapeutic treatment, but absolutely not a hard massage. It is based on the desire for deep relaxation through the use of high quality essential oil blends and is also good for emotional balance. Your own choice of pure aroma therapeutic oils will also aid in relaxing the muscles, restoring health and encouraging feelings of well-being. 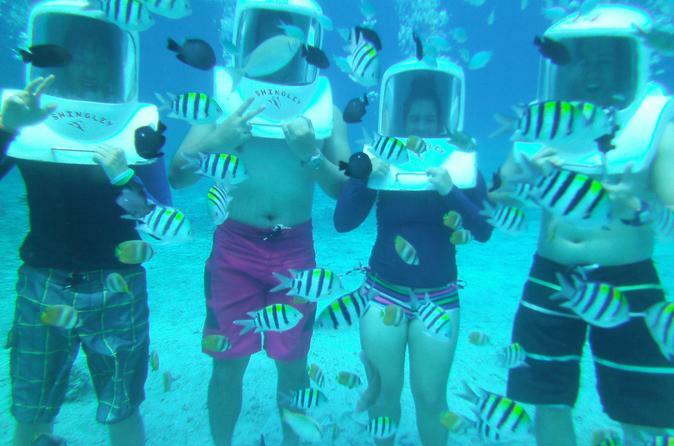 Helmet Diving is one of the most availed activity in Boracay Island nowadays. It doesn't requires good swimming ability. Here in Helmet diving you can enjoy and get close encounter to marine creature for 15 minutes.Fishes are very tamed you can able to feed them and get some photos and videos underwater for an unforgettable experience. 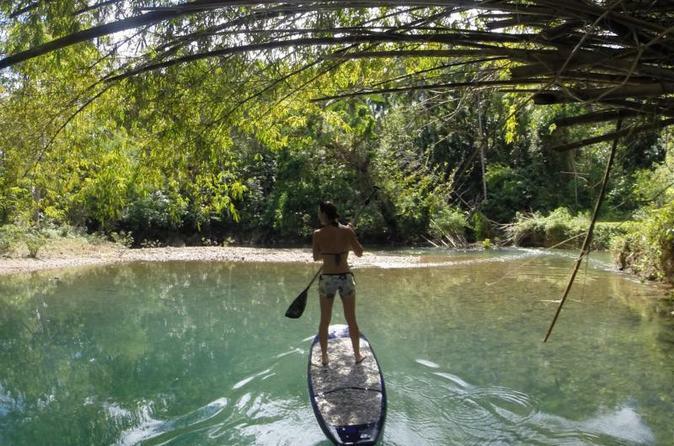 A day trip with a stand up paddle board on the Jungle Rivers of Panay. Stand up paddle is easy to learn and possible to do for everybody after 10 minutes trying. Discover a cold spring and paddle down to the sea, where we have a BBQ on the beach. Go parasailing and get a bird’s eye view of the world’s most beautiful beach – Bulabog Beach. Parasailing is the most exciting way to see Boracay Island. Imagine yourself soaring high above and taking in the beauty of the beach, the water, and the sky. 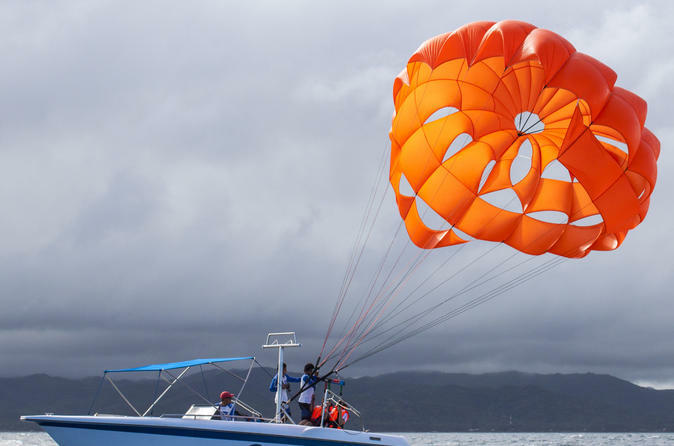 Come alone or in tandem and sometimes triple flyer is allowed, usually up to the captain’s discretion, so bring your friends and family and make this a parasail ride to remember. They will be chatting about it for months! The whole experience takes approximately 15 minutes fly from take-off. Boracay is one of the most beautiful places on earth, famous for its pristine water, amazing parties, and remarkable sunset views. 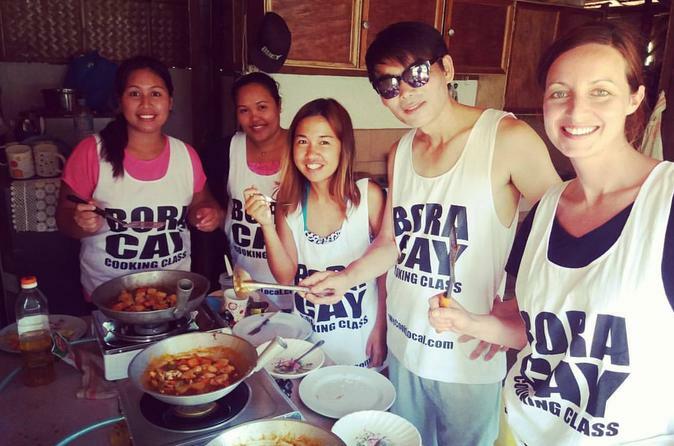 Boracay is surely a place that can raise your positive energy. So if you're looking for a good time in paradise, then join this one-of-a-kind cruise. Learn the secrets of authentic Filipino cuisine with the local chef in this private cooking class. For student who select the morning class, you will head to a local market to see locals selling daily fresh produce and purchase cooking ingredients before our driver transfer you to the cooking studio. You will learn to cook 2 main dishes for morning class and 1 main dish for evening class (vegetarian options is available), an appetizer and a dessert. Enjoy the delicious lunch or dinner that you have created with 2 free beer or soft drinks and receive a souvenir digital recipe book to take with you after the class. Please note that the price is per group. 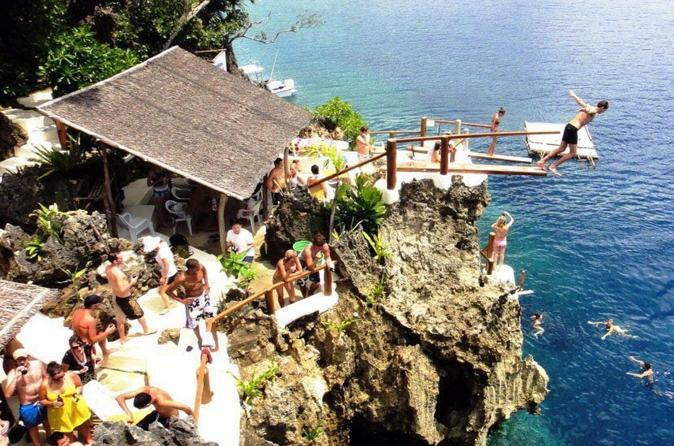 Full day adventure on the Mainland, ten minutes from Caticlan. See the real Philippines! Base Camp is your starting point for all kinds of fun, activities, tours and adventures. Enjoy a day in the jungle, starting with a D'Mall pickup, a quick trip to Caticlan, and then a stop at Boracay View Point to see Boracay and White Beach in full view. Have fun and ready to get wet. Ariel’s Point is an eco-adventure destination where guests can have fun and do many outdoor activities such as cliff dive, kayak, stand-paddle (SUP) and snorkel in an unspoiled tropical paradise. Meet at Ariel’s House at 11am and a short briefing will be provided by your professional guide. Boat cruise, BBQ buffet lunch, snacks and unlimited beverages is included on this day-trip package. 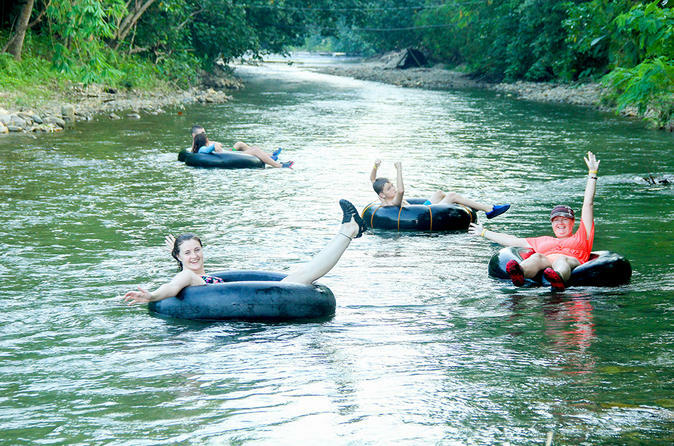 Pre-booking your ticket for this fun and adventurous activities with your family and friends. Pamper your body, mind and soul, not only by soaking up the sun on the most awe-inspiring, white beach in the world, but by luxuriating too at the best day spa in Asia and enjoy a holiday like no other. Spend quality time relaxing with that someone special and enjoy the high-quality services and pampering of one of Tirta Spa’s signature packages for couples. This great gift idea for each other will leave you both feeling on top of the world. 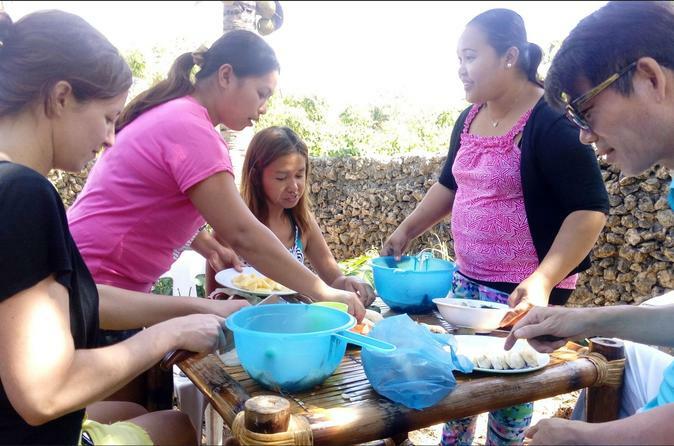 Learn the secrets of authentic Filipino cuisine with the local chef in this 6 hours cooking class. Head to a local market to see locals selling daily fresh produce and purchase cooking ingredients before our driver transfer you to the cooking studio. You will learn to cook 2 main dishes (vegetarian options is available), an appetizer and a dessert. Enjoy the delicious lunch that you have created with 2 free beer or soft drinks and receive a souvenir digital recipe book to take with you after the class. Learn the secrets of authentic Filipino cuisine with the local chef in this 2 hours cooking class. Your instructor will pick you up at the central Dmall and transfer you to the cooking studio. You will learn to cook 1 main dish (vegetarian options is available), an appetizer and a dessert. Enjoy the delicious dinner that you have created with 2 free beer or soft drinks and receive a souvenir digital recipe book to take with you after the class.